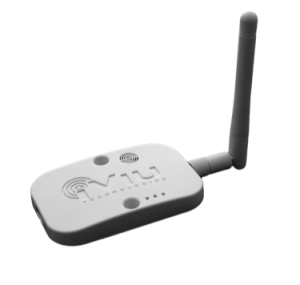 iViu’s Positioning System (iPS), hardware components, firmware, algorithms, and positioning software provide precise location detection and superior data for analytics systems & business intelligence solutions. iViu’s W-Fi sensors are called iDTags©, they are the size of a deck of playing cards. iDTags are placed throughout the perimeter and interior of physical locations. They are powered by standard electrical power or by PoE. iDTags sense and track Wi-Fi devices every 10 milliseconds. When Wi-Fi devices are sensed, they capture and encrypt the time, location and a unique device ID (iViu UDID), and send that data over existing or dedicated networks to a cloud-based data repository. iDPlatform then processes, positions and aggregates data for delivery providing the processed data in the form of a data feed. Data feeds are then ingested into 3rd party analytics tools or are used to trigger events, alerts or notifications.